The Fifth Anniversary OLRFC Rugby4 Heroes Festival this year coincides with the 70th anniversary of one of the most daring aerial operations of the Second World War. 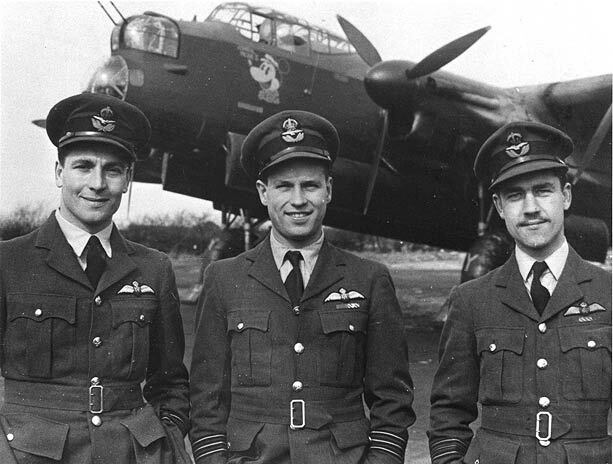 Operation Chastise – otherwise known as The Dambusters Raid – was carried out by 133 men and 19 Lancaster Bombers from the RAF’s 617 Squadron, based at RAF Scampton in Lincolnshire. In an effort to shorten the war and impede the production of military equipment by the Nazi government, the RAF decided to attack and breach three dams in the Ruhr Valley area of Germany. This would affect the source of hydro-electric power, cause heavy flooding and interfering with military factories. A new technology ‘bouncing bomb’ was developed by Dr Barnes Wallis, and was dropped by aircraft from the Lancaster Bomber squadron led by 24 year old Wing Commander Guy Gibson, VC, DFC and Bar. The attacks on the Mohne, Eder and Sorpe Dams were partially successful, with breaches achieved to two out of the three dams. Whilst it did not seriously impact Nazi war material production, the raid provided a significant boost to Britain’s morale and demonstrated commitment to the United States and the Soviet Union. The operation was immortalised in Paul Brickhill’s book and the 1955 Film ‘The Dambusters’. Lord of the Rings & The Hobbit Producer, Peter Jackson, is currently engaged in filming a remake with the script said to be written by Stephen Fry. OLRFC Rugby 4 Heroes is proud to honour the memory of these brave men who were lost on the raid and in subsequent operations. May they never be forgotten. We will mark this with a special tribute flypast by a Spitfire and Hurricane from the Battle of Britain Memorial flight, at 2.20pm on Saturday 11th May 2013.